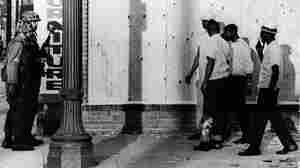 August 8, 2015  It's been 50 years since deadly violence wracked South Los Angeles. But memories of the race riots linger with residents. In Watts' decades of recovery, they see lessons for today's racial tensions. August 2, 2015  Professional wrestler "Rowdy" Roddy Piper has died. He was one of professional wrestling's top villains and acted in the 1988 film They Live. Piper was 61. August 1, 2015  SuperPACs released their latest funding numbers Friday, and already it's clear that the committees' roles in 2016 will be gargantuan.